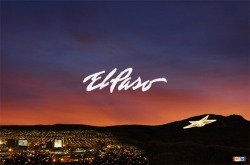 El Paso owned and operated since 2000! "I highly recommend Miner Tech Security. I was looking to secure my far east El Paso home in a cost effective and efficient manner. I literally called several local El Paso alarm companies prior to reaching Miner Tech Security. I found I was either being sold on a system that would not meet my needs or was not a cost effective solution. One call to Paul at Miner Tech Security and I knew I had found the professional to secure my home. I received a great system with the latest cellular technology; as well as a very simple to use technology based platform that can be armed and disarmed by my cell phone, computer, iPad, or at the house itself by way of the keypad...great service, great system, great pricing, and really great to work with. Go with Miner Tech with confidence. You'll be wasting time and energy to quote through the other guys." Our interactive services, powered by ALARM.COM, enable you to manage all of your systems - security, energy, and home automation - from your smart phone, computer, or web enabled device (like an iPad).